The Town of Normal is reviewing three proposals for a new Uptown building to house Farnsworth Group and another unnamed tenant. The Town opened a request for proposals (RFP) in early December for a multi-story development at the “Trail East” site, a 1.28-acre plot between Uptown Circle and Beaufort Street. The site includes the Trail East public parking lot and 104 E. Beaufort Street. For now, The Pod occupies the Town-owned building at 104 E. Beaufort. However, owner Natalie Wetzel announced in a January 1st Facebook post that she would close the store February 15, 2018. The RFP allows developers to include two adjacent properties in their proposals: 106 E. Beaufort, owned by Windy City Wieners, and 108 E. Beaufort, which houses Slingshot CoWork. Town of Normal City Manager Mark Peterson said the Town has had its eye on the Trail East development for the last 17 years. The site was first marked for development in 2000 in the original Uptown (then called Downtown Normal) Renewal Plan. “We have, from time to time, talked with potential developers that have expressed some interest in the site, but none where they had reached a point where they wanted to go forward,” Peterson said. Local architecture and engineering firm Farnsworth Group contacted the Town about consolidating its Bloomington and Normal offices, expressing particular interest in the Trail East site. The RPF requires 18,000 square feet of high-value office space for Farnsworth, as well as 5,000 to 6,000 square feet of office space for an unnamed technology company interested in being a tenant--as long as it’s the only tech company in the building. While Peterson said Farnsworth Group has no interest in owning any part of the development, it may serve as architect and engineer for the building’s core and shell, according to the RFP. The RFP also calls for proposals to incorporate ground floor retail space. Residential space, “although not a preferred use,” could be included to make the development financially feasible. The development will maintain some public parking, though Peterson said that’s another detail that will be worked out in the planning phase. He said some developers suggested including ground-floor parking for tenants, with the College Avenue parking deck available for additional parking. Peterson estimated the proposals range in cost from $12M to $28M, depending on the size of the project. The site lies within the McLean County Enterprise Zone, which gives developers a sales tax exemption on building materials and a 0.5% credit against Illinois income tax owed. The Town’s financial contribution to the project has yet to be determined, although the Town will at least pay to relocate or bury any electrical lines on the property, according to the RFP. 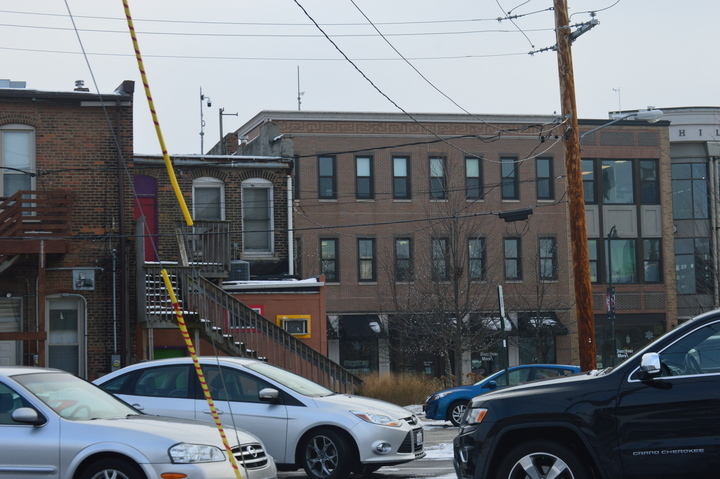 “That’s what we’re evaluating with these proposals: whether the developers are seeking any financial involvement from the Town in terms of land write-downs or TIF (Tax Increment Finance) District benefits,” said Peterson. Town staff will continue reviewing the proposals before choosing a developer to work with on more concrete plans. While the proposals will not be made public before the Council chooses a developer, Peterson said there may be opportunities later in the planning process for residents to get involved.